Wake systems up by passing in their MAC address. 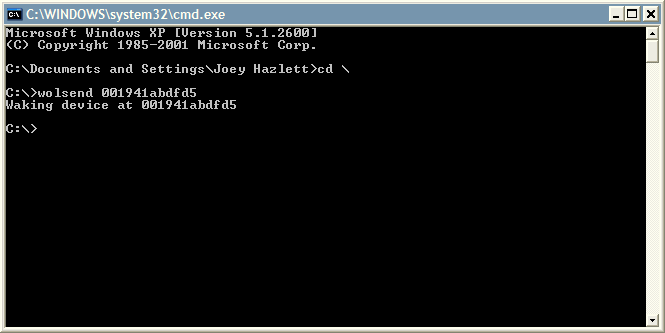 Only 6KB or so, command line so you can call it from a batch file. What do you think about WOLSend? Rate it!